For the past 10 years Chris has gained a huge amount of experience performing with some of the UK's top ensembles, including the Northern Saxophone Quartet, National Concert Orchestra of Great Britain, Equinox Saxophone Ensemble, National Saxophone Choir of Great Britain, ReedPlay Ensemble, the New Squadronaires, Syd Lawrence Orchestra, Paul Pashley Band and Twisted Tubes. In this time he has toured Europe numerous times and performed at every World Saxophone Congress since 2009. This has taken him to Bangkok, Thailand and, more recently, to Zagreb in Croatia with the Quirk Saxophone Quartet and Equinox Saxophone Ensemble where his saxophone quartet 'Smudge' was performed. Chris has also recorded albums with Equinox Saxophone Ensemble, ReedPlay and has worked with Joseph Horovitz while recording his clarinet and saxophone quartets. In the near future, there will be new releases from Zenith Quintet and Quirk Saxophone Quartet. As an educator, Chris is in high demand delivering classes on composition and performance throughout the UK both as an individual and with the ensembles he is involved with. 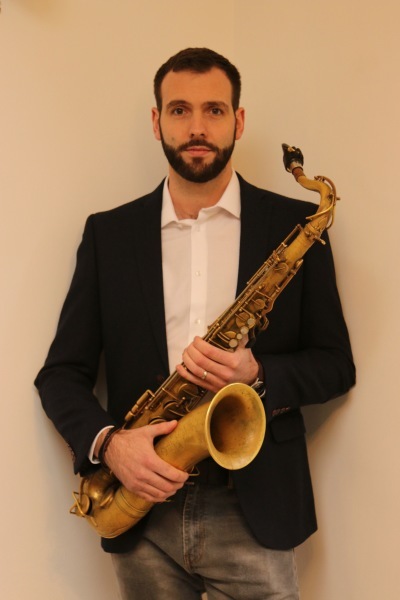 He is the visiting saxophone tutor at Keele University and is the Instrumental Manager at Tameside Music Service where he is heavily involved in the delivery of tuition and the shaping of music education in the Greater Manchester Music Hub. He enjoys working with students of all ages and believes the learning process is a two way path, gaining just as much from his students as they gain from him. As a composer, his work takes inspiration from a wide range of genres and artists including Tom Johnson, Snarky Puppy, Marc Mellits, Bob Reynolds, Sigur Ros, Clint Mansell and Too Many Zooz. He has music and arrangements published with Saxtet Publications and Samek Music Publications. A recent turn towards jazz with his newly formed group, Zenith Quintet, will see a new chapter in his writing.